The first time I climbed at Carderock was in 1991, when I took a Discovery class in college. 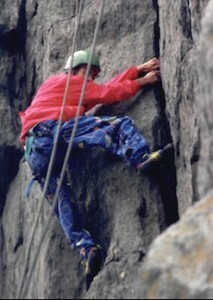 I was hooked, and took the Rock Climbing course with my best friend as soon as we could. 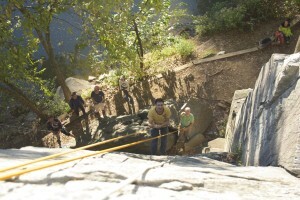 I still think of my Discovery and Rock Climbing instructors whenever I am at Carderock. Digging through boxes of old things, I found this photo from 1992. In my defense, I didn’t buy my own clothes in the ‘90s. I’ve lived in the area now for 25 years. I went on to become a biologist, and have written manuals and papers in genetics, microbiology, cancer biology, pharmacology, and science education. I’ve also been an amateur photographer since the mid ‘90s, and was shooting film on an old Leica well past the digital revolution in the 2000s. Photography started as a hobby, but became tremendously useful after my kids were born, and was a perfect skill for this project. 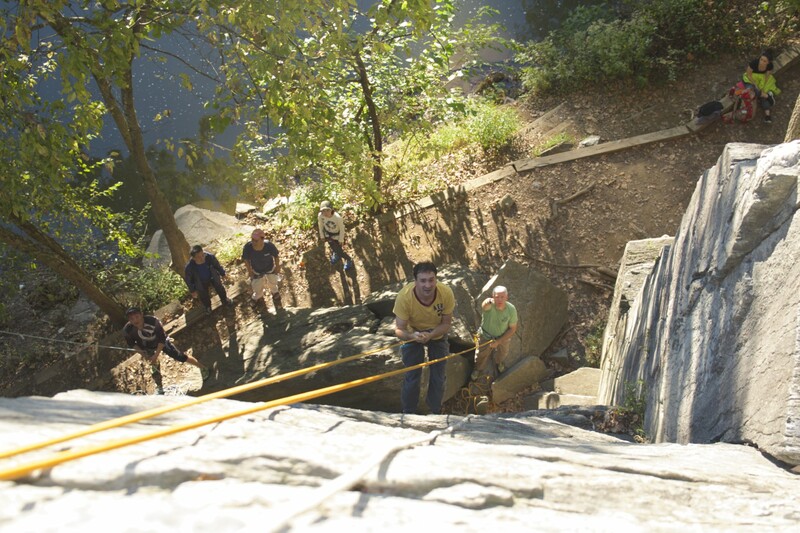 Because Carderock is often the first outdoor climbing experience for many people in this area, we’ve approached this guidebook with the perspective of someone who is new to climbing outdoors; maybe a family with children. I try to take my kids everywhere that they are willing to go, which is why you will see pictures of them throughout the guidebook and in our blog. My daughter loves the Billy Goat trail. My kids and I ski and snowboard most weekends in the winter. My favorite destination outside of the local mountains and crags are the Tetons in northwestern Wyoming, which hold a lifetime of memories. When we researched this guidebook, I was pleased to learn that many of the first ascents in the Tetons and elsewhere were established by climbers who were local to Carderock. When Rob and Todd asked Brian and me if we could write a guidebook on Carderock, it was an automatic yes. This has been a new challenge, but a different one from writing a paper on genetics. I’ve enjoyed it tremendously.